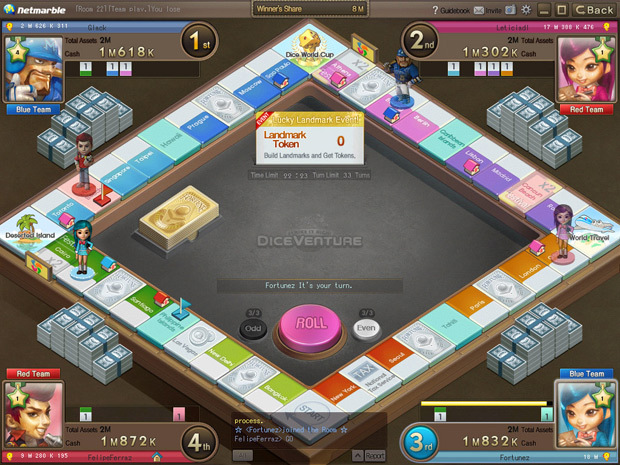 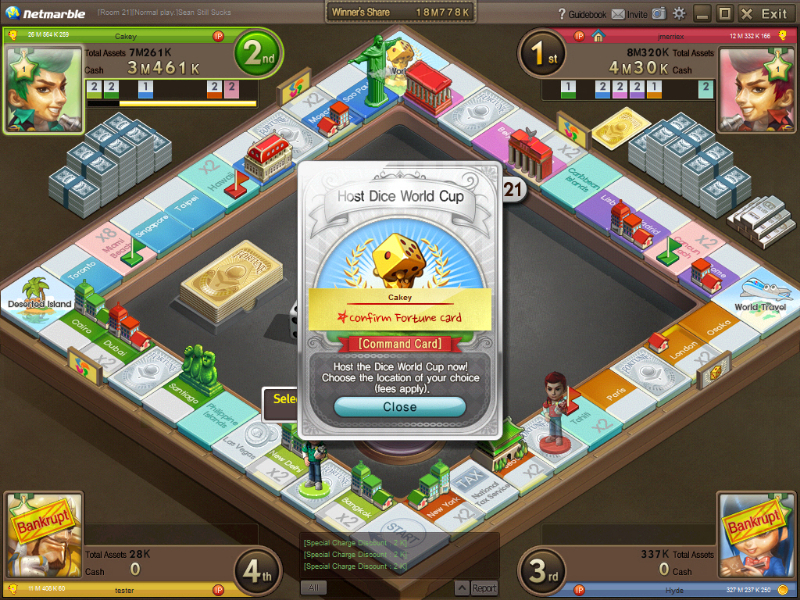 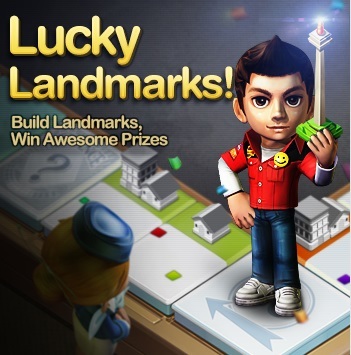 Dice Venture is an online casual board game where players can join friends and family in a classic game with new twists. 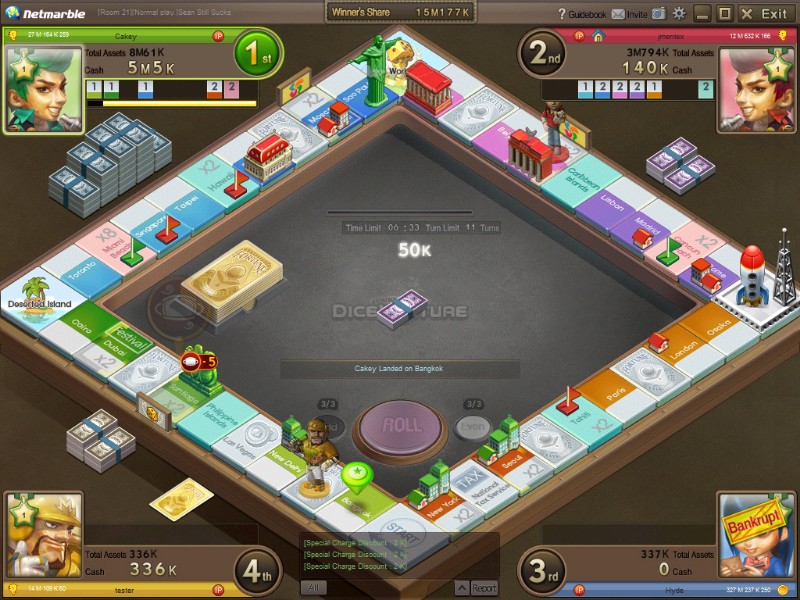 Players take turns buying and selling properties while traveling around the world for a chance to become billionaire tycoons. 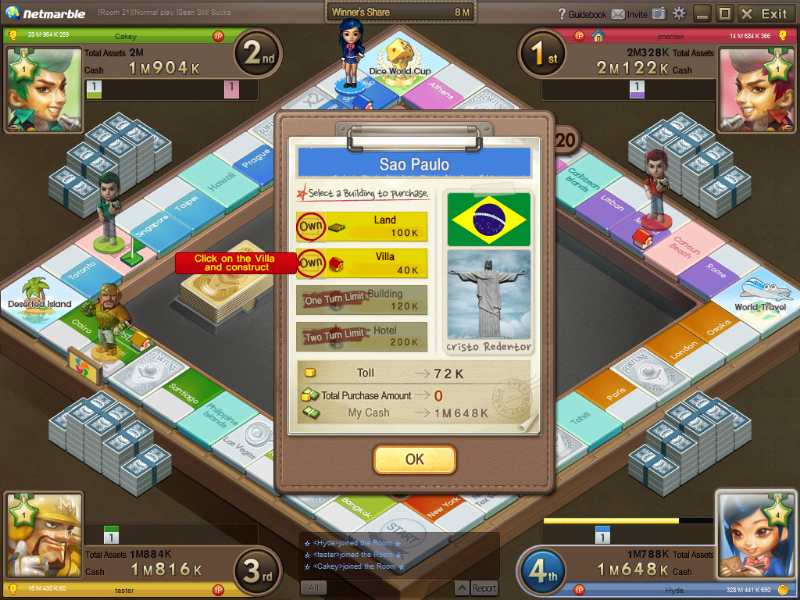 Games can be played in either four-player head-to-head mode or in two-on-two team matches, and take about 25 minutes to finish.